We're celebrating 20 years of Catholic Education here at St. Catherine's! 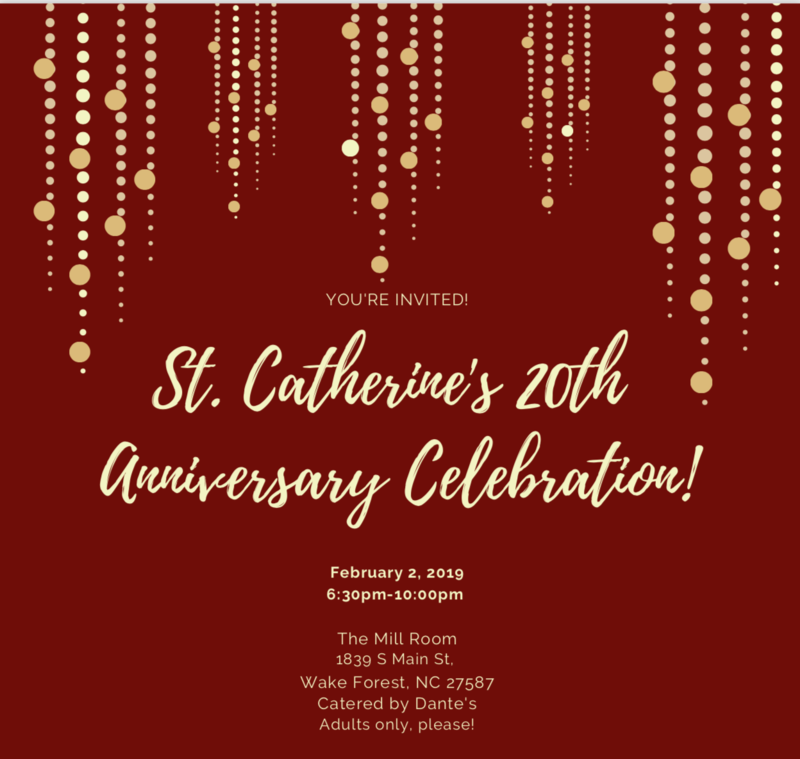 Adults are invited to attend our anniversary party this upcoming Saturday, February 2, 2019 from 6:30pm to 10pm at the Mill Room at the Factory. Catered by Dante's, this will be an evening of fun, appreciation, and joy as we celebrate 20 years! Click the red button below to purchase tickets! Click the pink button to the left for more information.